These days, homes come in a range of different shapes and sizes—from large and luxurious villas to urban one-room apartments, each dwelling boasts its own individual personalisation that help create unique environments for the occupants within. In our desire for eco-friendly homes that are also quick to build, low cost and chic, pre-fabricated abodes have increased in popularity and style. Today's feature property is both gorgeously designed showing us what can be planned and achieved with a little creativity and innovation. 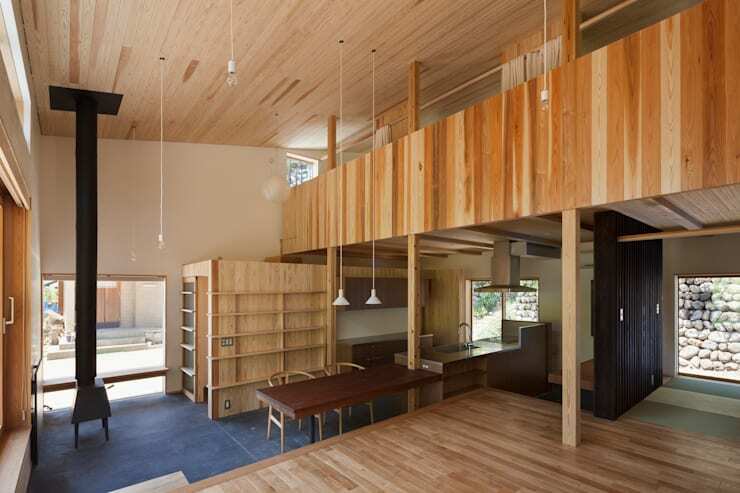 Looking more like an architecturally designed feature residence as opposed to a pre-fab dwelling, this house sparkles and shines with an engaging ambience and aesthetic. 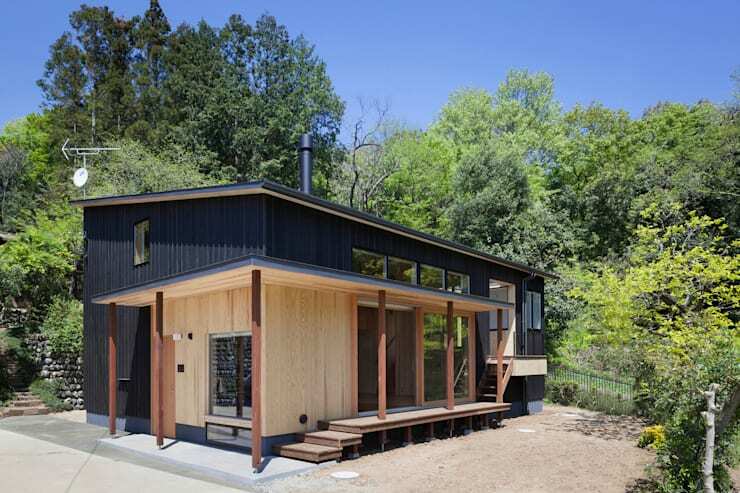 Seriously eye-catching, we adore the combination of black timber cladding to the top storey and light wood on the ground floor. Blending in to its surrounding landscape, the home is nestled within lush vegetation, which assists with its environmental friendliness. Additionally the use of natural materials has promoted a connection with the organic landscape, facilitating health and well being for its occupants. 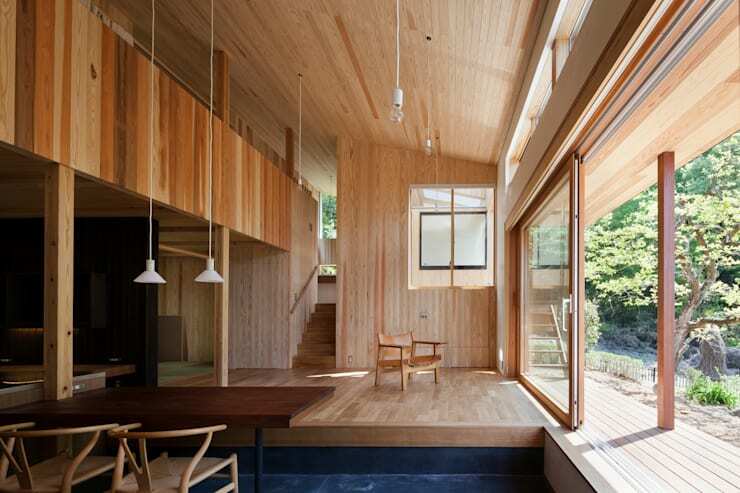 As the house is located in an area free from traffic and passers by, the architects have worked to ensure the house connects one with nature. The threshold between the interior and exterior is undefined, as large glazed doors can be opened entirely, to bring the outside 'in', and the inside 'out'. Boasting a split-level interior setup, the home maximises its timber features to provide a truly luxurious yet provincial feel. Embracing the beauty of the exterior the designers have ensured the dwelling is an eye-catching and unique experience, and one that guarantees the occupants are as close to nature as possible. 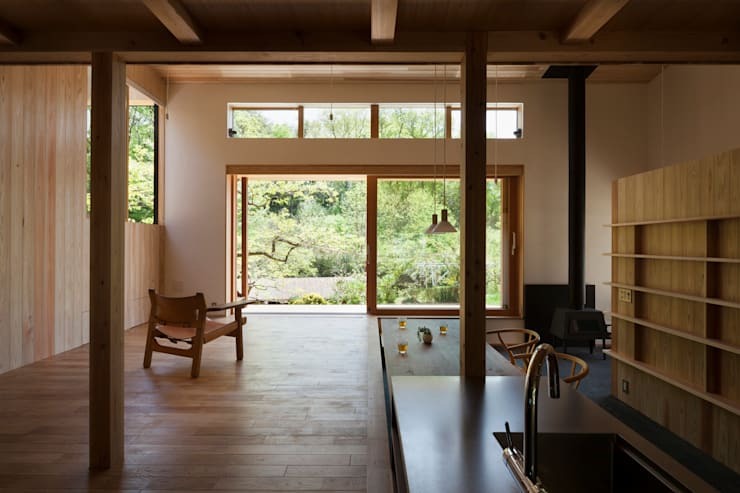 The living room is associated with the rest of the interior spaces, yet preserves a sense of segregation, as it is located on a raised timber platform. This stage-like section works well with the dining table and kitchen, while imparting a minimalist, almost Zen aesthetic. Featuring one single armchair, this is the perfect place to sit and witness the changing seasons, with large windows and doors offering spectacular views. 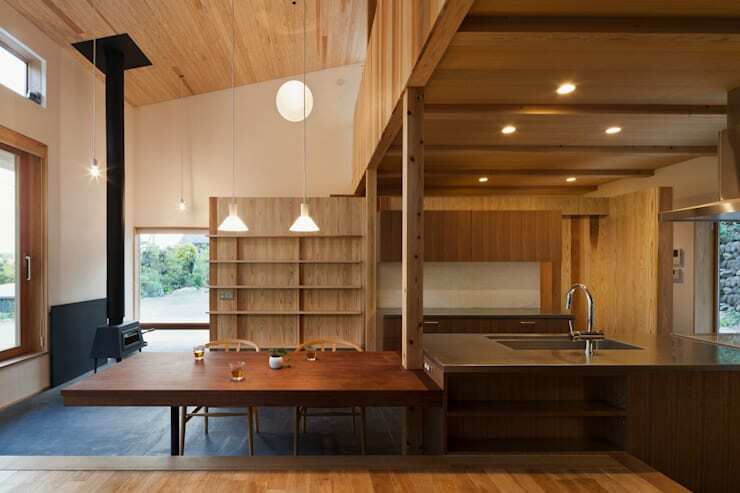 An open plan design has been chosen for this abode, and although some rooms are closed off with curtains, the general vibe is one of inclusivity and connection. The kitchen is located in the corner of the space, linked to a social dining area, and next to the gorgeous wood burner, which keeps the dwelling heated during winter. We can also see the upstairs mezzanine space, which houses the sleeping areas and more private accommodation. Taking a closer look at the dining and kitchen space we're able to see how the different timber tones create eye-catching colourful accents within the house. Lighting is added with care, and a thoughtful combination of both natural light and artificial sources provide ambience and mood with ease. Upstairs the mezzanine area and loft provides quiet, private accommodation for the house's occupants. It is here that curtains have been installed instead of doors, offering the ability to change and alter the floor plan if necessary. 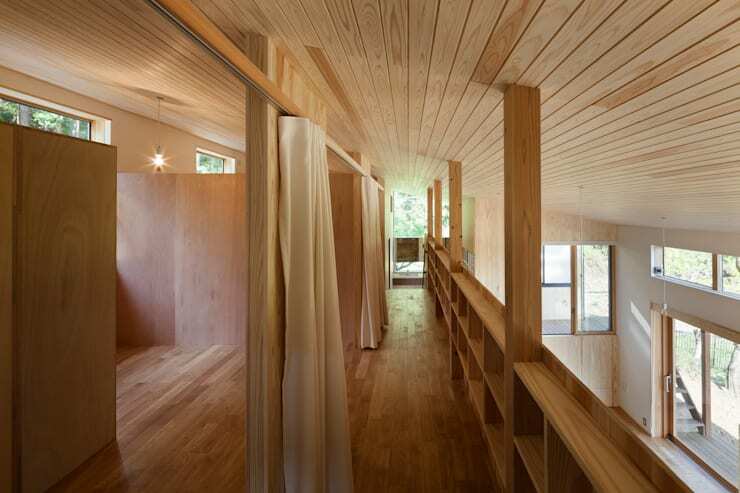 Unlike traditional rooms, these spaces embrace partitions that don't reach the ceiling, letting light travel freely throughout, and enhancing movement within the abode. What's your opinion on pre-fab, eco-friendly homes?